« Nationally certified unprofessional social media women in the industry! 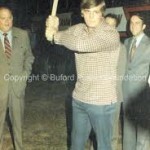 When I first launched this blog over a year ago my intent was to swing my bat fats and hard everyday. If you got hit by the blog, then maybe you were somewhere you did NOT belong. The blog evolved in a more tutorial fashion and lessons on professionalism, ethics and the good ole’ topic of MINDSET. 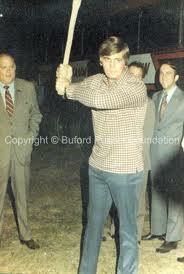 Yesterday, I pulled out the Buford Pusser bat again. As the day progressed I receive emails, texts and a few calls saying that they knew who I was referring to. “Oh really, who was it”, I responded. They’d give their answer and I’d respond, “NOPE!” So to alleviate the gossip and rumor mill from going too far, let me set the record straight. That blog was NOT directed at any “One” person but a group of persons. Before I go any further I should also say that the most disheartening point of all that led up to yesterday’s post is that these individuals could be a huge asset to the industry and its members. The problem is that in lieu of their method of delivery, they lose their audience. It is sad that when you have individuals that can add a positive impact on an industry that you complain about, you’d rather resort in a diatribe that eludes any possibility to uplift, but rather further drag down the CRAFT. The scariest part of the entire process is that none of them see anything wrong with this behavior and posting it in the OPEN. That’s the part I can’t past. The vast majority of specialists in the industry want to do good by “HER” but need to be taught the value of how to do things properly. If they feel like they are being slapped or ridiculed by their comment or questions, they will never learn. In some way, their demise or lack of abilities and skills as they operate can be blamed on the very people that insist on tearing them down instead of lifting them up. For those that I “may” have been referring to I will leave you with this: In an industry where we are saving lives how ironic is it that some refuse to help others in the industry but rather KILL their careers and injure the industry. Thats why i have limited my comments on THE FORUM DUE TO SOME OF THE COMMENTS MADE BY OTHERS…I LOOK AT THE FORUM TO LEARN AND GAIN SOME KNOWLEDGE, ITS SAD THAT OTHERS CANT BE OPEN MINDED! I WILL CONTINUE TO LEARN EVERYTHING I CAN FROM THE FORUM AND SUPPORT THE FORUM WHICH IT RIGHTFULLY DESERVE!